Grange is first mentioned in the ancient Cartmel Priory Registers in the 15th or 16th century when it was recorded as 'Grange-with-Kentisbank'. It is generally believed that the name derived from the old French 'Graunge' meaning 'a barn' or ‘granary’ where the monks of Cartmel Priory stored some of their grain (or possibly from the Latin 'Grancia' - meaning Grain). They may have also had a small harbour here. The village grew slowly as a small fishing village, and during the eighteenth century it had occasional shipping. Ships heading up the estuary couldn't carry full loads because of the shallowness of the water - so would offload cargo at Grange, where it was stored in a small warehouse for later collection and a second run up the river. A 'Tide Waiter' was appointed to make sure the cargo was okay (basically a customs officer). This probably led to a couple of inns (The Commodore). There was limited tourism - with visitors coming by boat to the small piers at Clare House Lane and Bailey Lane. The one at Clare House Lane was complete with a toll house. 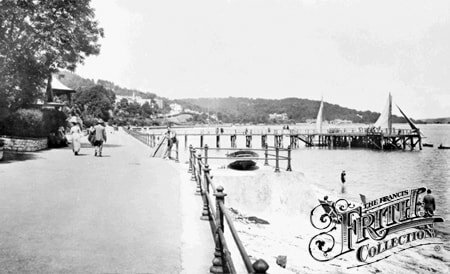 The Frances Frith collection has many old photos of the area, including the piers in 1896. 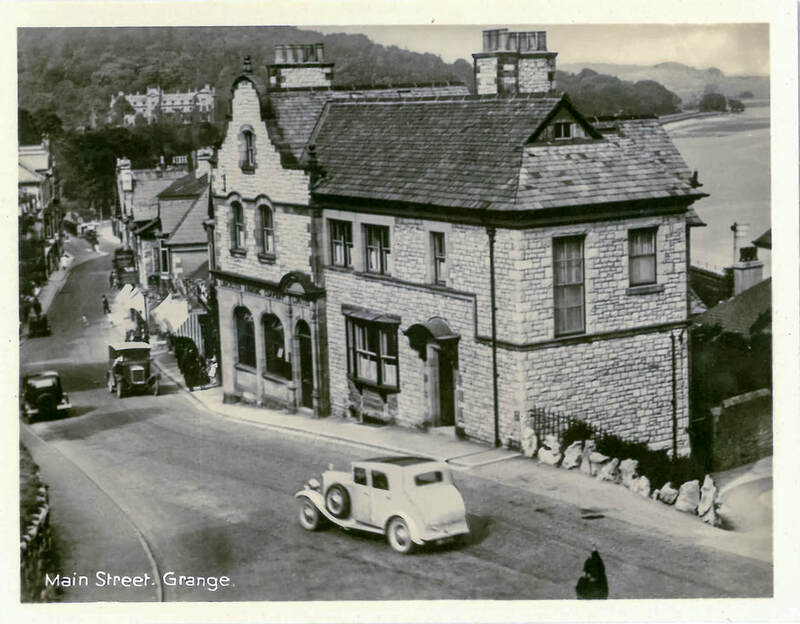 By the 1820s, Grange was described as a ‘Beautiful sea-bathing village’, and there were a small number of villas and hotels, including the Crown Inn at the top of the hill (where the mini-roundabout is now). As a town, it only really began to develop in the Victorian era with the completion of the Ulverston(e) and Lancaster Railway in 1857. This enabled the town to become a popular seaside resort, and was really the start of the modern history of Grange-over-Sands as we know it. Hotels, such as the Grange Hotel, and health related hydropathic establishments were built. Piers were also built at the bottom of Bailey Lane and Clare House Lane to take steamers from Morecambe and Blackpool. Wealthy factory owners from Lancashire and Yorkshire could reach Grange in a couple of hours, and so began to build more holiday houses and apartments. Until the coming of the railway, the main communication route was the roads across the sands from Kents Bank to Arnside and Hest Bank. The first decent road in the area was not built until 1820, when the new turnpike was completed between Levens bridge to Greenodd. But even then, it was a long way round Morecambe Bay, so the cross sands route remained in use right up until the railway took over. 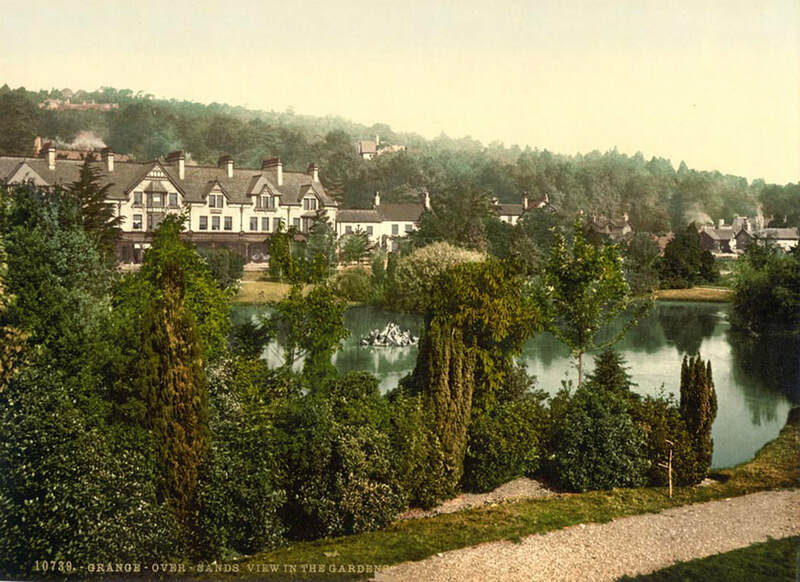 ​Edwardian Grange was known as the “Torquay of the North”. The promenade was built in 1904 and then extended, and is now over a mile long, and traffic free – being between the railway and the sands, with numerous access points. The Ornamental Gardens were made on old salt marsh – and the pond is still full of ducks and geese. 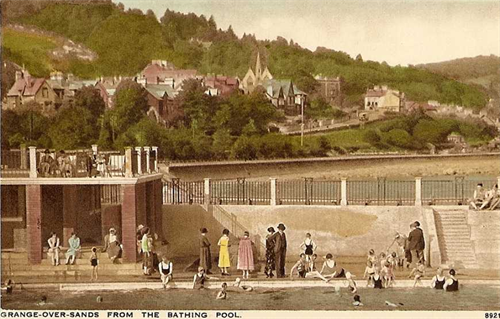 The Lido was built in 1932, and is still a (derelict) feature on the prom. The town has constantly continued to grow and develop – and is still expanding today. There are numerous links to useful sites containing more detail about the history of the town, and things within in. Here are a small selection.